I often see “Someone should make an X ipsum…” with X being something that doesn’t exist yet. If you weren’t a developer, making your own ipsum generator could be difficult, but no more. 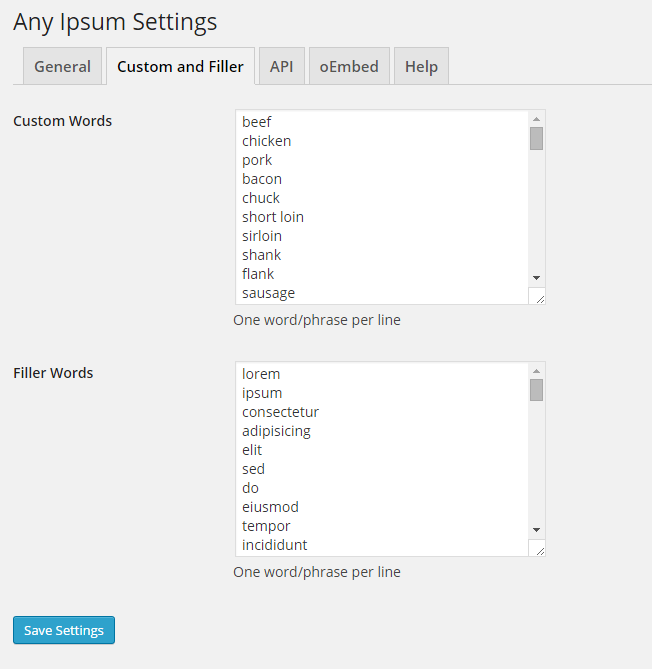 Today we released Any Ipsum, a WordPress plugin that will let you create your own alternative custom ipsum generator. 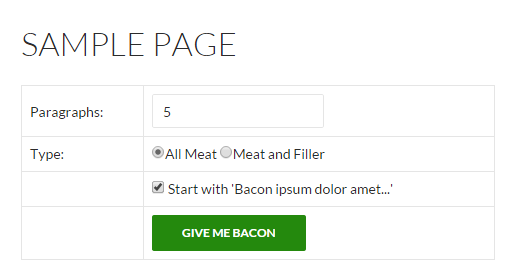 As an example, I created a Meme Ipsum generator in just a few minutes, and eventually we’ll be converting Bacon Ipsum over to use this new plugin. It has all the features our site does: front-end HTML form, JSON API, oEmbed, etc. So if you have an idea for the next big ipsum, give it a try! 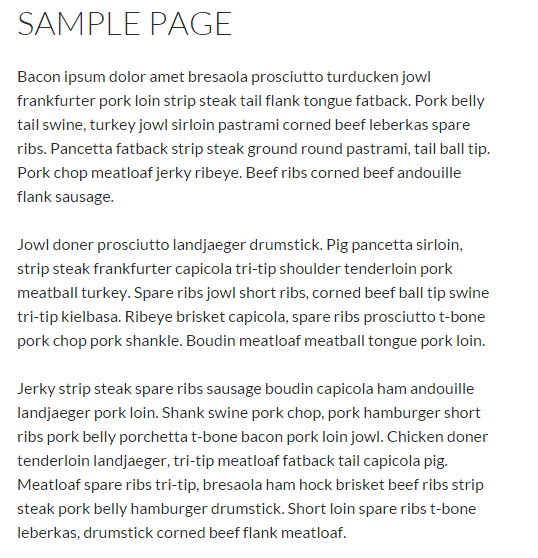 By default, it installs bacon ipsum (hey, I’m rather fond of it), but it’s very easy to customize it to your liking.